Scooper - Technology News: Could infrastructure investment help tackle climate change? Could infrastructure investment help tackle climate change? Infrastructure is a powerful driver of economic growth and inclusive development, capable of boosting aggregate demand today and laying the foundations for future growth. It is also a key element of the climate-change agenda. Done badly, infrastructure is a major part of the problem; done right, it is a major part of the solution. 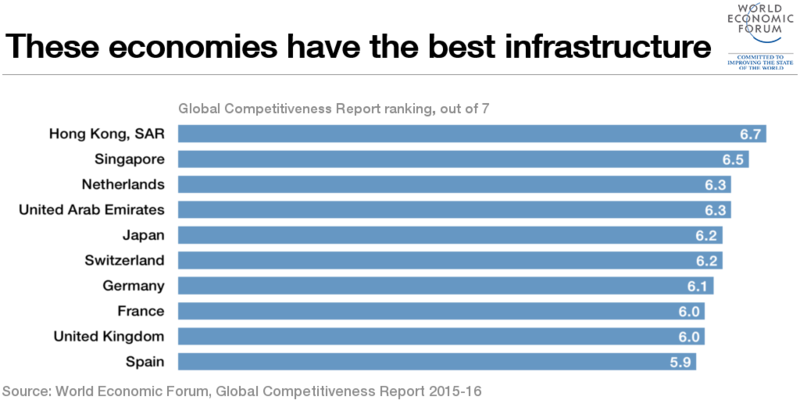 Over the next 15 years, more than $90 trillion in infrastructure investment will be needed worldwide. That is more than twice the value of the entire stock of infrastructure today, and requires total annual investment to increase more than twofold, from $2.5-3 trillion to above $6 trillion. Around 75% of this investment will have to take place in the developing world, particularly middle-income countries, owing to their growth needs, rapid urbanization, and already-large infrastructure backlogs. Closing the infrastructure gap will undoubtedly be challenging. But it also represents a profound opportunity to create the underpinnings of a more sustainable future. As it stands, more than 80% of the world’s primary energy supply and more than two-thirds of its electricity are derived from fossil fuels. Infrastructure alone accounts for around 60% of global greenhouse-gas emissions. If the world follows the same old approaches in building new infrastructure, it would lock in polluting, resource-intensive, and unsustainable pathways to growth. But shifting to renewable energies and sustainable infrastructure can have the opposite impact, helping to mitigate greenhouse-gas emissions while enhancing countries’ resilience to climate change. If climate risks are factored into investment decisions , renewable energies, cleaner transport, efficient water systems, and smarter, more resilient cities will emerge as the best bets. Fortunately, the political will to take action to mitigate climate change has never been stronger. At last December’s United Nations climate conference in Paris , world leaders reached a landmark agreement to work toward a more sustainable future, including by transforming the way infrastructure projects are developed, financed, and implemented. But agenda setting is just the first step. Delivering sustainable infrastructure at scale will require strong public policy leadership and responsive private-sector entrepreneurship. Policymakers must clearly articulate overall strategies for sustainable infrastructure investment, and embed them in comprehensive frameworks for sustainable growth and development. Here, the G20 countries can lead the way. Only with such integrated strategies can policymakers offer the level of policy coherence needed not just to maximize the effectiveness of each policy, but also to instill confidence in the private sector to do its part. What precisely should those strategies entail? While specific policy actions and priorities must be tailored to individual countries’ circumstances, the main elements of sustainable infrastructure agendas can broadly be captured under four “I”s: investment, incentives, institutions, and innovation. For starters, policymakers will need to ensure a significant increase in total investment. This requires a reversal of the broadly negative public-investment trend in the last couple of decades. Governments must allocate significantly more funds to sustainable infrastructure. But, given severe fiscal constraints in many countries, public investment alone is not enough; the private sector will still have to meet more than half of the total need. Efforts to reduce policy risks and costs of doing business can help spur the private sector to scale up investment considerably. To ensure that new investment is oriented toward sustainable infrastructure, policymakers must also adjust market incentives. The elimination of fossil-fuel subsidies and the implementation of carbon pricing are particularly important; with oil prices very low, now is the ideal time for countries to implement such reforms. Pricing reform will also be needed in other industries, including water. By getting prices right and reforming regulation to correct distorted incentives, governments can put markets to work in support of public-policy goals. But more investment alone is not enough. Strong institutions are needed to ensure the feasibility, quality, and impact of that investment. Particularly important is the capacity to develop strong project pipelines and institutional frameworks for public-private partnerships. With around 70% of total investment in sustainable infrastructure occurring in urban areas, close attention must also be paid to the quality of municipal institutions, as well as cities’ fiscal capacities. For developing economies, multilateral development banks will be a key partner in building capacity and catalyzing financing. Finally, there is the fourth “I”: innovation. On one hand, technological innovation will be needed to provide increasingly efficient components of low-carbon, climate-resilient infrastructure. That is why investment in research and development – especially in renewable-energy technologies – must also increase significantly. On the other hand, fiscal and financial innovation will be needed to capture the potential of new technologies. Specifically, the creative use of fiscal space will enable the mobilization of more financing for sustainable infrastructure. And there will be more space as carbon taxes raise substantial revenue for governments (and improve the tax structure). Meanwhile, new financial instruments and the resourceful use of development capital can leverage more private finance and lower its cost. Promoting infrastructure as an asset class could help attract more savings toward infrastructure. As it stands, assets under management by banks and institutional investors worldwide amount to more than $120 trillion, of which infrastructure accounts for only about 5%. Today, both infrastructure investment and climate action are urgently needed. With the right approach, we can achieve both goals simultaneously, building a more prosperous and sustainable future.